17th century English Puritan, Thomas Manton (1620-1677), graduated from Oxford University and held positions at St. Mary's Church and Westminster Abbey while preaching before Parliament. Manton was highly esteemed among his contemporaries, but like many Puritans, Manton was ejected from the Church of England for "non-conformity". Known and praised for his expository preaching, this collection contains hundreds of pages of sermons and commentary on grace, justification, the book of James, the book of Jude, and more. Manton's unique sermon style reads more like a verse-by-verse commentary as he often devotes an entire sermon to a single verse of scripture. 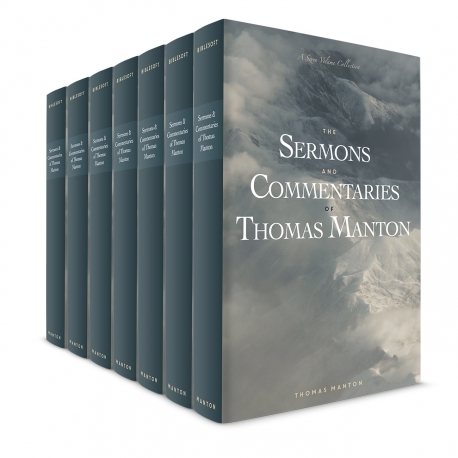 This is a 10-volume collection of Manton's writings, including the great cycle on Psalm 119, a supplement to the Puritan Classics Collection that is found in the OneTouch and Version 5 Libraries.